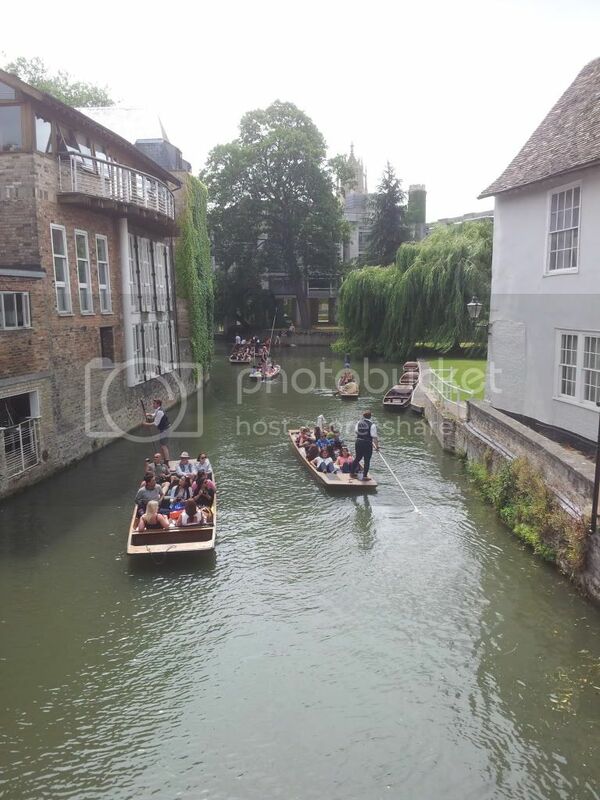 To me this image sums up the vision of Cambridge - a sunny day punting on the River Cam. This bridge is very close to where I work and I stroll across it most days and see what is happening down on the River. Now that Summer is here the River is getting busier and busier filled with punts of tourists or students taking trips around The Backs, it always looks so relaxing and a good way to see some of the City. I am looking forward to a very exciting Summer. I currently work part time but have a separate position for the other two days a week but I am very fortunate that in a few weeks time I will be able to drop the additional two days a week until January. I am so excited to have this opportunity and I cannot wait to explore more of Cambridge and the city I now live in with Betty the Bike. I have started a list of things I want to do, simple things such as take a walk along the river, visit some museums and explore which tea shops have good cake! But I am also really excited that I can use this time to work on Butterfly-Crafts.com and get prepared for Christmas and all of the Christmas craft fairs I do during that time of year. I have plans to build a new craft desk in my work space and have a permanent place to be crafting and get the creativity back! What are you looking forward to doing over the summer? Have you any crafty plans? Anything that you can recommend for me to add to my "Must Do" in Cambridge list?